Don’t leave planning your wedding tent too late. Here’s what you need to ask before making your choice of tent for the perfect reception accommodation. 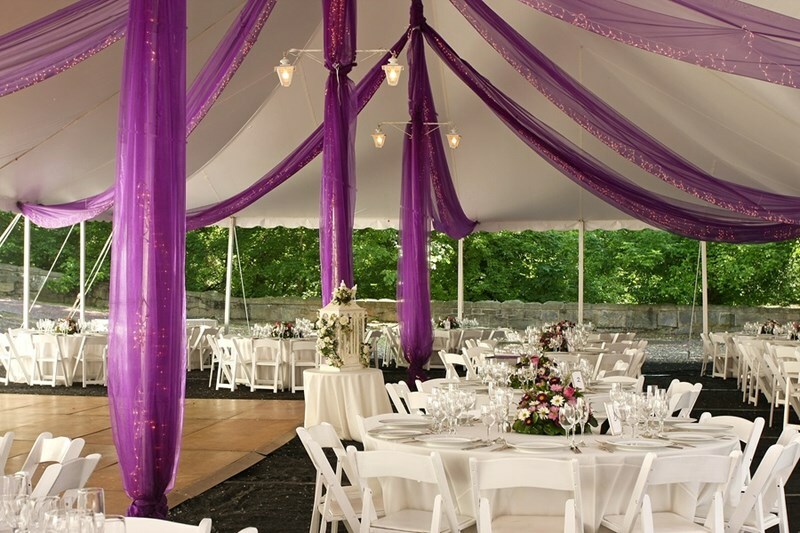 Providing tents for wedding receptions is one of our specialties, and one of the most exciting parts of our business. For us to be invited to be a part of your big day is something special for us. That’s why we work extra hard to make sure every detail is just so. A wedding tent opens up a world of possibilities. It can be personalized in a totally unique style, and turn even the most remote location into an idyllic paradise for the newly-wed couple to celebrate their union with family and friends. While we’ve got a whole lifetime of experience in providing tents for weddings, for the majority of our customers hiring a wedding tent is a whole new experience. This article explores the six questions you need to answer to ensure that you make the perfect choice of tent for your wedding reception. 1. What style of tent will complement your wedding? The style of tent that you choose is probably the most important of all questions to be answered. It should complement your wedding by melding with your theme and location. Remember that it will be the backdrop to your wedding day photos as well as shelter to your guests, so it needs to be both practical and visually appealing. 2. Where will your wedding tent be erected? Uneven ground presents certain problems. However, in our experience, few are insurmountable. Even so, we’ll need to discuss any leveling issues, and what flooring and staging will be needed to make sure your guests are both comfortable and safe. A site visit will help us to determine the best aspect for the wedding reception tent, taking into account surface and slope. In most cases the aspect of the tent will be exactly as you wish. Occasionally, a little compromise is necessary to ensure the tent does its job. 3. How many guests will the wedding tent hold? You’ll want it to be cozy, but not crowded. You may decide to have a number of canopy-style tents for the day, and a large clearspan tent for the evening reception. Whichever style of tent you select, it must provide the space for dining, mingling, and dancing. You might also like to consider whether you want a lounge area and a space for children to play. And don’t forget the staging for speeches, and an area for the bar. 4. Where is your catering? You’ll need to consider your catering requirements early on. If there are no internal catering facilities, then a cook tent will be needed. Speak to your caterers and ask them about their size requirements. A separate cook tent attached to the main reception tent by covered walkway will provide the space and shelter needed by your caterers while ensuring that food is delivered to your guests with minimum fuss and disruption. 5. How do you want the internal laid out? You now know how many guests will be attending, where your tent will be, and have catered for catering. Now you’ll need to consider how the internal will be laid out to make sure the celebrations run smoothly. Where is the catering tent, and how far does the food travel? How big are the tables, and what is the table plan? Where will the band go, and where is the dance floor? Don’t forget gift tables. If a buffet is planned, there will need to be space set aside for buffet tables. If you change your mind about any of these internal arrangements before the big day, don’t forget to inform us: rectangle tables are not as economical with space as round tables, for example. 6. How will the weather affect the wedding day? Perhaps the only element you can’t control is the elements. Our advice here is to plan for bad weather. We know you don’t want to think about a rain-soaked guest list, but by considering the clouds could burst on the day you’ll ensure your wedding isn’t ruined by rain. Consider, too, how the weather may affect guests inside the tent during the wedding reception. Climate control will ensure your guests get neither too hot nor too cold during the speeches and into the evening celebrations. Do you want more tips and advice about the benefits of tents for wedding receptions? Contact us today – we’re always pleased to hear from soon-to-be married couples, and we’re incredibly proud of our record of helping so many with their special day.